This tea light is a real price killer. Create ambiance at the lowest price per hour you'll find anywhere. 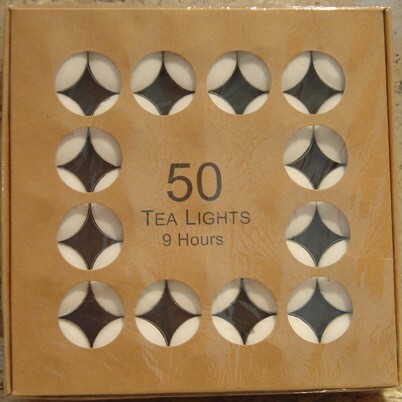 These tea lights usually burn between 8 and 9 hours. Excellent quality flame. Burn characteristics are good and out perform all other Chinese tea lights on the market. Try them and see for yourself.